Every week H-E-B donates their expired flowers to our program, and our children are able to continue their explorations based on what we receive. Lately, we have been observing primary colors (red, yellow and blue) in the petals of our flowers, which inspired us to carry out a color study using paint and other materials in class. The children removed the petals from the flowers, counting each petal as it was pulled. This process incorporated a valuable little math lesson into our color study. We placed the petals onto our light table to get a better look. Here, the children were able to use their observational skills to make note of the variety of colors and shades that naturally occur in each flower. In our color study, we are also exploring states of matter and physical changes. We asked the class what would happen if we added hot water to the flower petals. 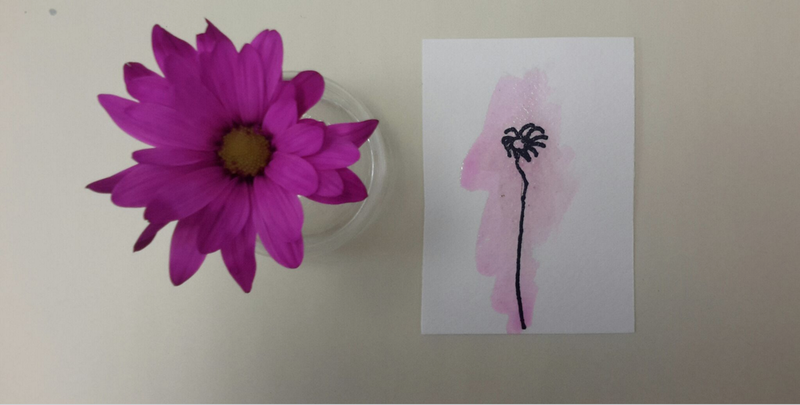 The class used the watercolor they created (with the flower petals) to paint their hand drawn illustrations of the flower they observed. 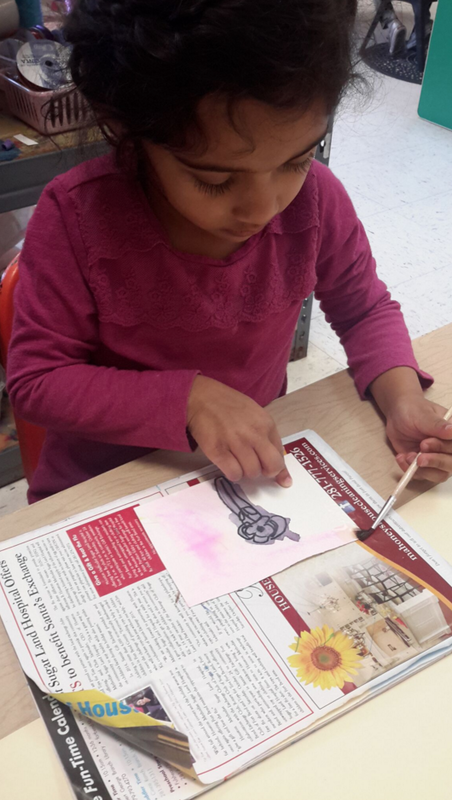 This artistic aspect served as a nice culmination of our study, providing the children with an opportunity to express their observations and newfound knowledge of flowers and colors. This experience allowed the children to continue their learning about primary colors through sensory exploration (sight, touch, smell, etc.). By mixing the colors, they had the opportunity to practice key aspects of the scientific method such as making predictions and noting cause and effect. Through their hands-on investigation of color, the children were able to see how their actions can create change. From a mathematical perspective, the children’s interactions with the flowers and petals instilled number recognition, sequencing, number sense and one-to-one correspondence. 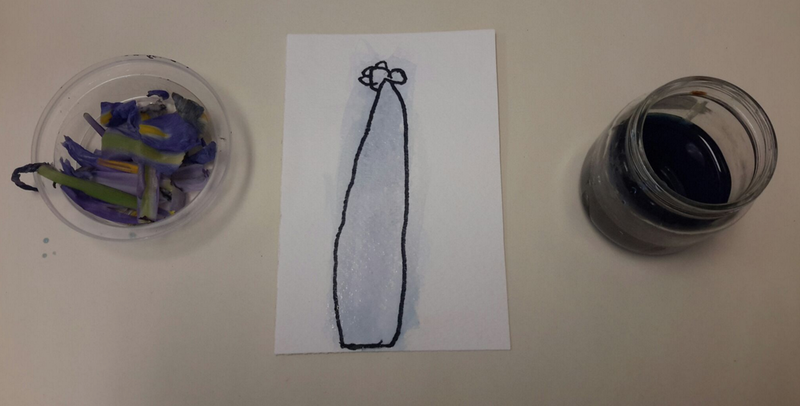 The entire experience encouraged team building and enhanced social skills as the children worked together physically and verbally to make the watercolor and discuss their hypotheses and observations. Paint is a material that we use regularly in the classroom. Through this experience, the children discovered a new way to recycle our old flowers into a fun material that they appreciate. Learning that something old or used can be reused to create something new and valuable, heightens the children’s understanding of sustainability and environmental responsibility.